I need encouragement. I need a hug. I am tired. My body and bones feel tired. I really did not want to do this. We received more snow today. I was really cranky again this morning. Angry at the weather. really? How can I be angry at the weather when it is something I cannot control? Surely it is a sign of my limitations when it comes to winter. As I mentioned before – it is not my favorite season. I do not like the cold. I do not like the snow. I don’t do any snow activities. I hibernate. I don’t mind it when it’s short and we don’t get too much snow. But this winter – surely has pushed me over the edge. I see mounds and piles of snow everywhere. Every night I have to layer up to get warm. Right now my nose is cold. I know I probably sound whiny. I can’t find any joy in it other than I know it means we’ll have a good spring and summer. Water levels will be good for our lakes. I know that. But it is the NOW that I am not liking at all. Two days in a row of not being a positive mood or thought bothers me. I also know that last night was a night where insomnia took over as well. Lack of sleep is not helping matters either. I am definitely hoping to hit the sack early tonight, in hopes that I get a good solid night of sleep. My sleep was restless. I heard voices. I saw images. I could not get comfortable. Tonight I want a dreamless sleep. This Friday we’re donating my Old Audi Quaatro Wagon to Mother Wattles. They are picking it up. Finally. 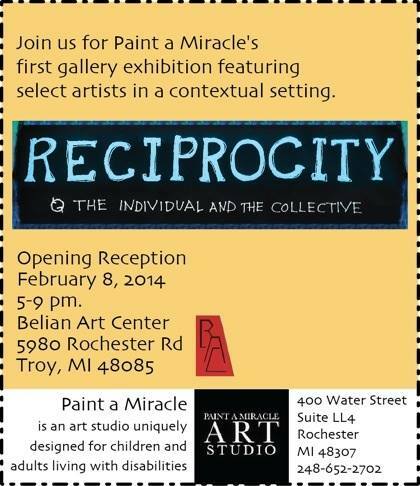 This Saturday I am having a group over for dinner (I’m making lasagna) and then we’re heading over to Belian Art Center for Paint A Miracle’s opening reception. I am really looking forward to that. Sunday will be a day of grading and school work. I don’t see much creativity time for me. I am saddened at that thought. I wish I could take a day off tomorrow so I could sew and paint. But bills need to be paid. food need to be put on the table. Somehow I need to get my dog to the vet for her annual check up . I have attempted to read week five of ‘The Complete Artist Way” beginning of this week, and have not been able to make it through. I did do my homework for Grant Writing class. When I feel tired and down like this, I need to work it through – right now, I feel I am spiraling into depression. I want to stop it. So, for the first time, I am actually saying, I am tired. I need a hug. I need someone to take over and let me whine, cry, pitch a fit, stamp my feet, rage. My usual behavior is to be stoic and not say anything at all. Just put my game face on and keep on going. Yup. Keep going. Bring me sunshine, warmth – like about 80 degrees and a light breeze. I’ll be happy. Anyone have a job I can get in South Carolina? I’ll take it.